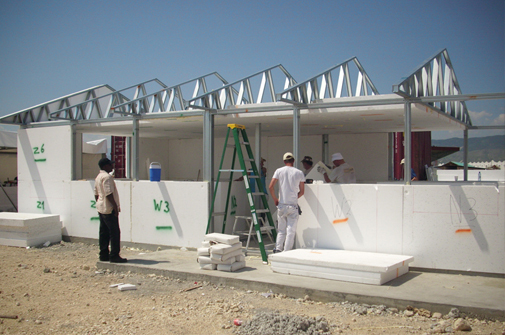 Cité Soleil (Sun City in English) is a shanty town located in Port-au-Prince, the capital of Haiti. Most of its 300.000 residents live in extreme poverty. Children and single mothers predominate in the population. Social and living conditions in the slum do not allow them to fulfill even the basic human needs. There is no running water, no sewers and no electricity. 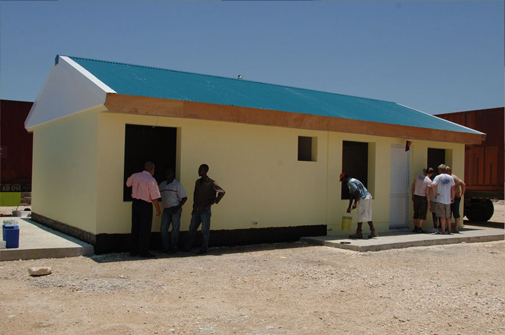 In spite of this fact, a rent must be payed even in all shacks made from rusty metal sheets. Infectious diseases are widely spread as garbage disposal does not exist in Cité Soleil. 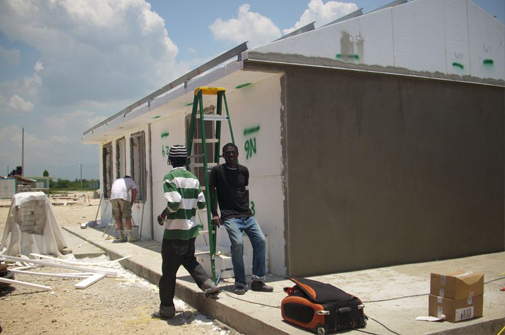 The average life expectancy in Cité Soleil is between 45-50 years. 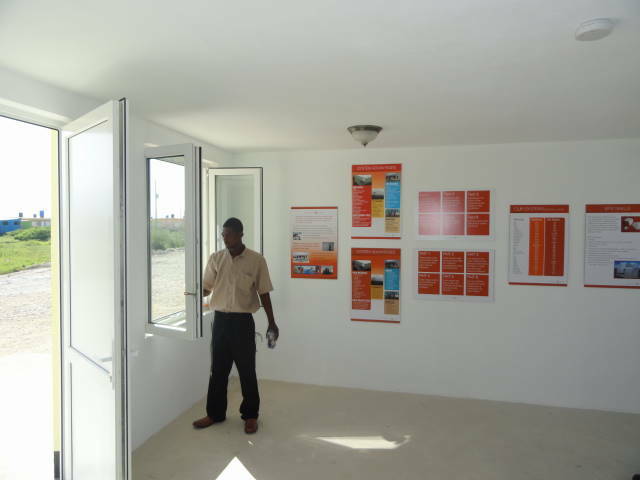 In this part of Port-au-Prince an exposition village of new innovative housing has been started. 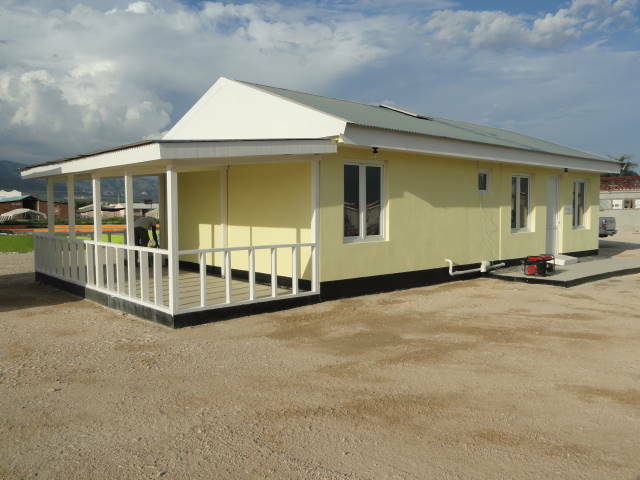 In a period of 6 days the Veerhuis team has built their energy friendly, environmental friendly and affordable high quality house, which can resist hurricanes and earthquakes.